STENNIS SPACE CENTER, Miss. 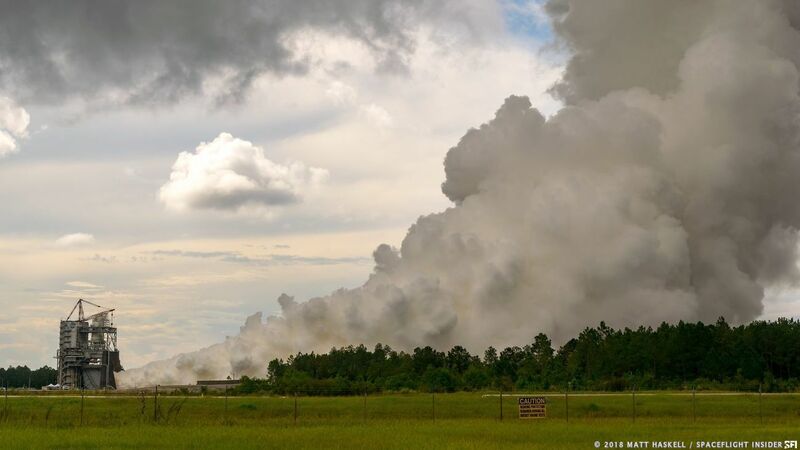 — Aerojet Rocketdyne tested a leftover Shuttle Space Main Engine, redubbed the RS-25, at NASA’ Stennis Space Center in Mississippi. The test marked the latest step in the space agency’s efforts to send crews deeper into space than has ever been attempted before. The window for today’s test opened at 2 p.m. CDT, with the engine coming to life at 3:31 CDT (18:31 GMT). All total, the engine was active for about 500 seconds. The RS-25 used a mixture of cryogenic liquid hydrogen and oxygen to demonstrate that the heritage hardware could fire at 109 percent thrust. 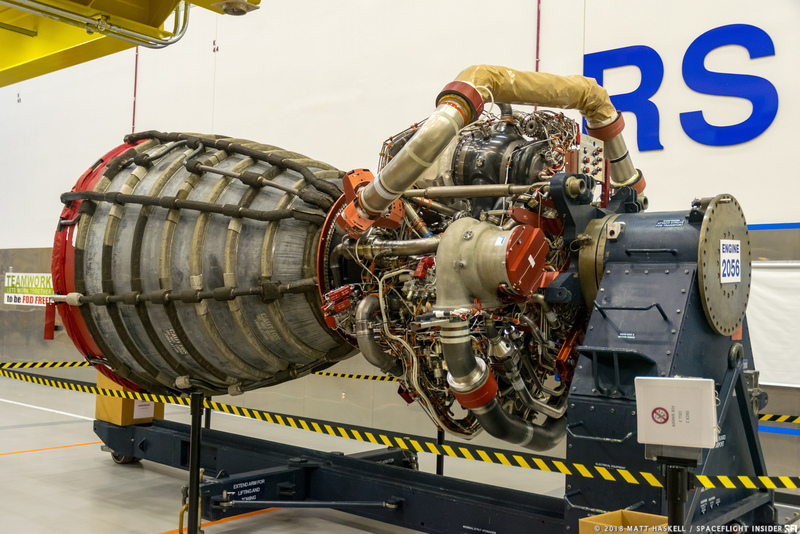 Today’s test was held to certify a flight controller that is planned for use on the RS-25. 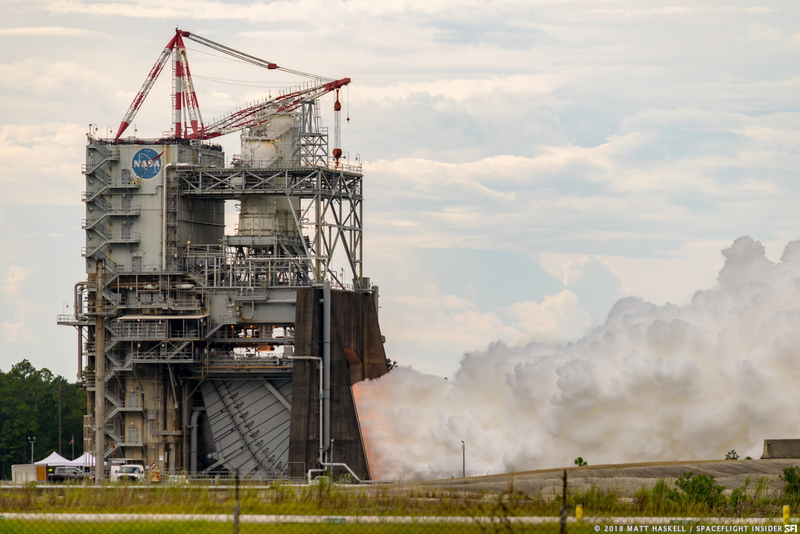 Between eight to ten tests are carried out annually at Stennis. However, SLS does not require any of these tests to be completed prior to taking to Florida’s skies on its first planned voyage – Exploration Mission 1 (EM-1). The rocket’s maiden flight is currently scheduled to take place in 2020. A backup set of engines are available should one of their components become damaged or an anomaly was discovered during a core stage test. Elements of the RS-25 emerged in the 1960s, with the engine’s “official” development starting in the 1970s in the lead up to the Shuttle Program. After NASA’s fleet of shuttle orbiters was retired in 2011, some of the SSMEs that remained were re-tasked to fly on SLS. Unlike on shuttle, these engines will not be reused.